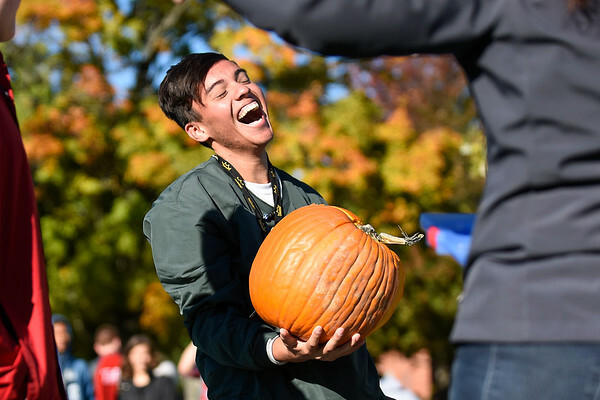 Goshen High School senior Javier Castillo laughs with classmates after their pumpkin fell from a 50-foot drop and broke open Thursday morning at Goshen High School. Students in Jen Yoder's engineering classes began designing for the annual pumpkin drop at the beginning of October, but had only one class period to construct their designs. "If we had a parachute on ours it probably would have survived," Castillo said.